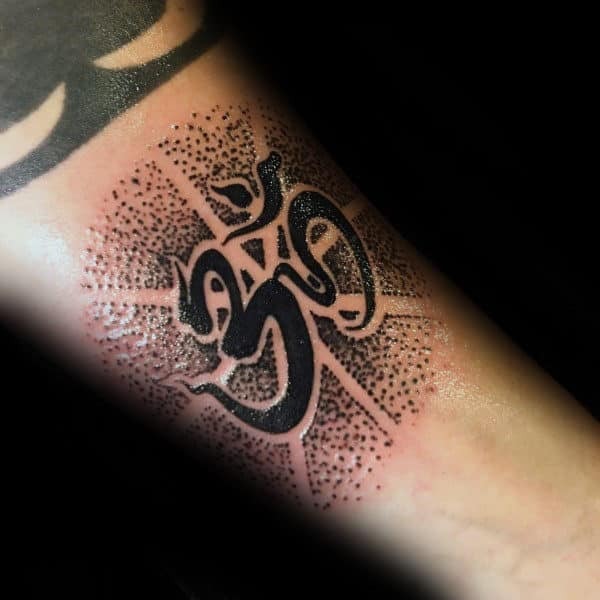 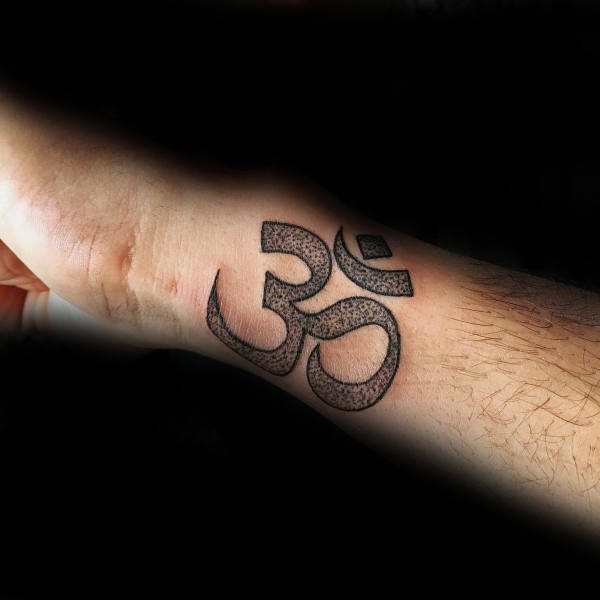 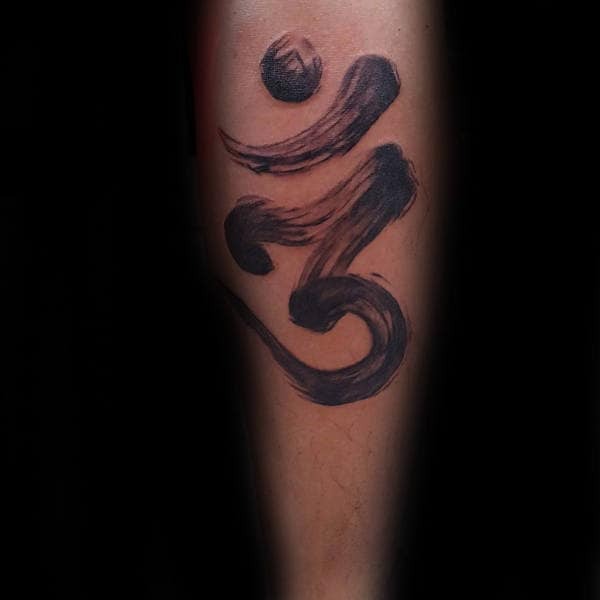 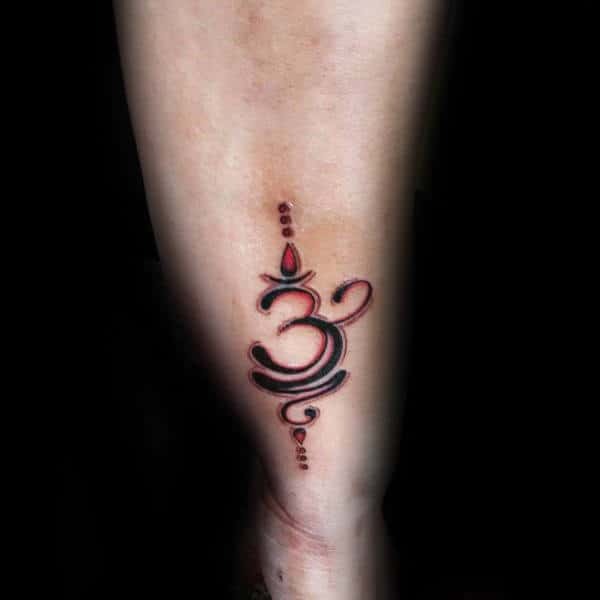 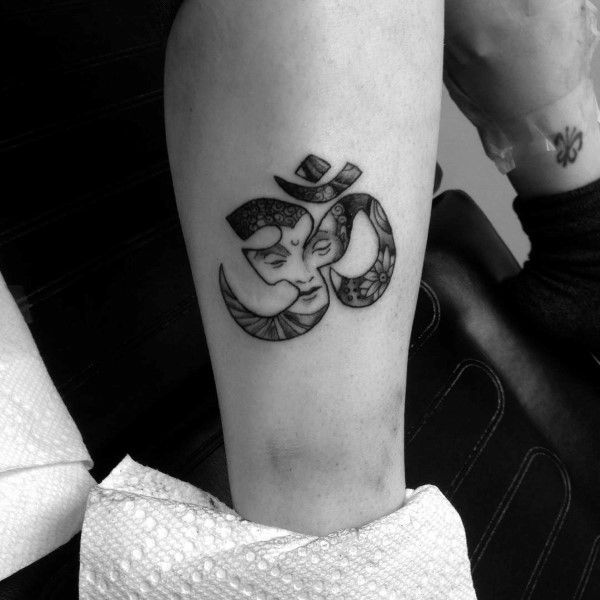 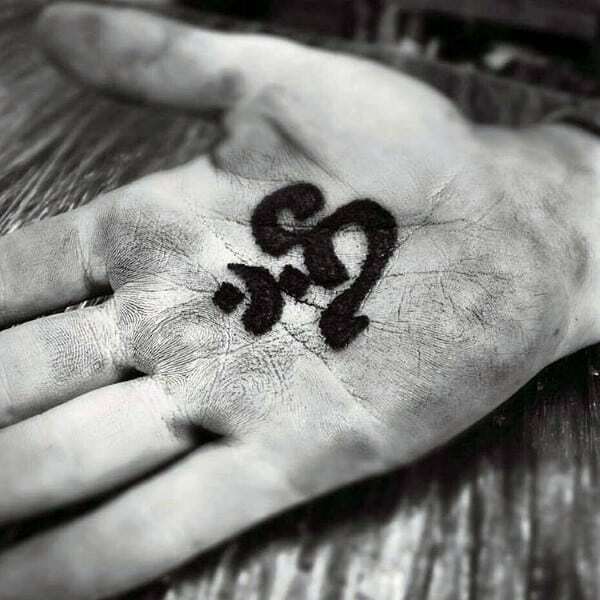 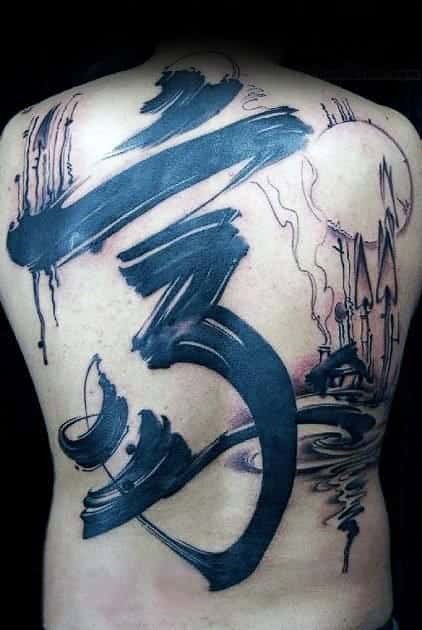 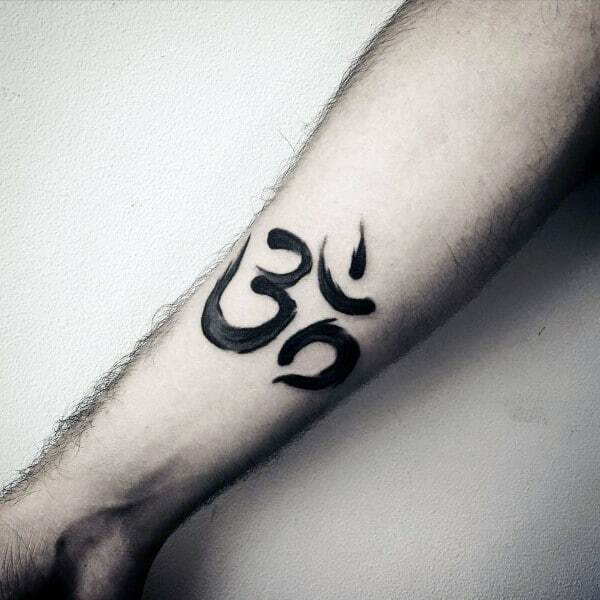 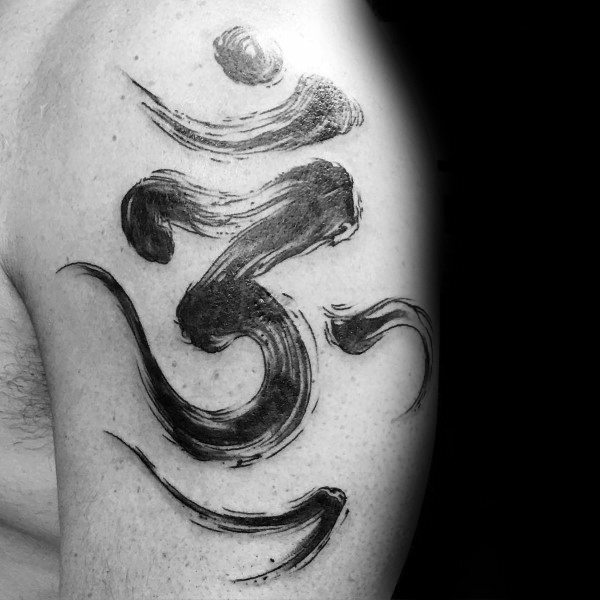 An Om tattoo marks the epitome of enlightened ink. 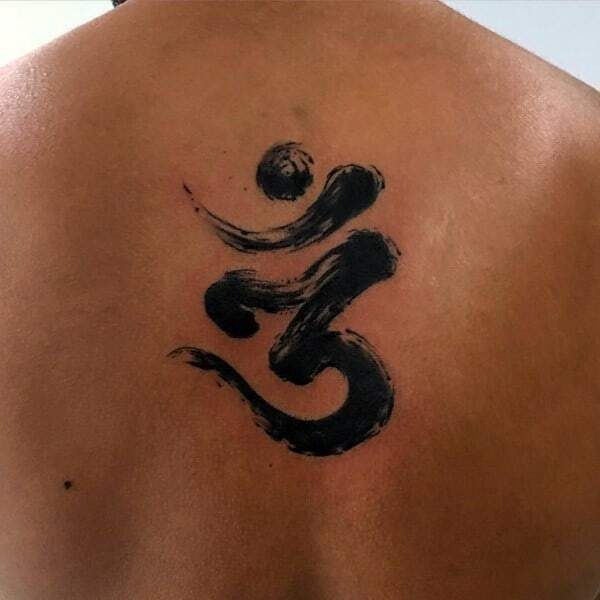 This reflective Eastern chant can transform into a portable calming mechanism with stylish ease. 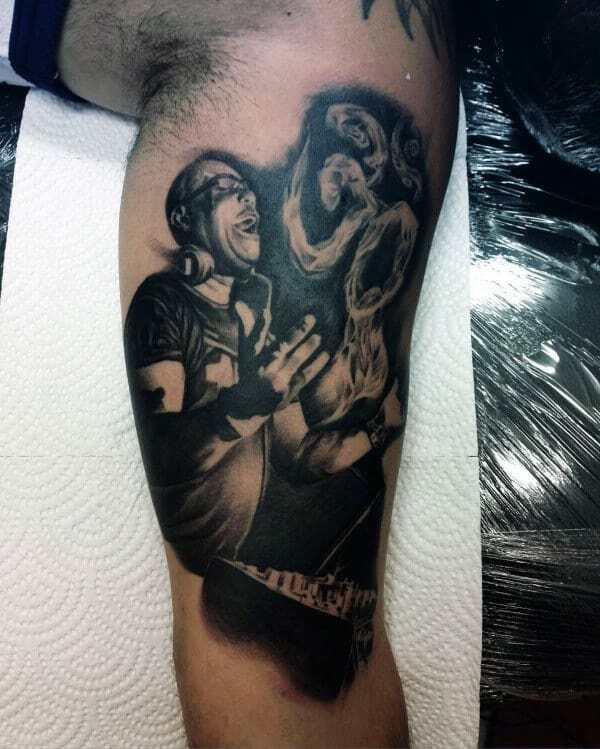 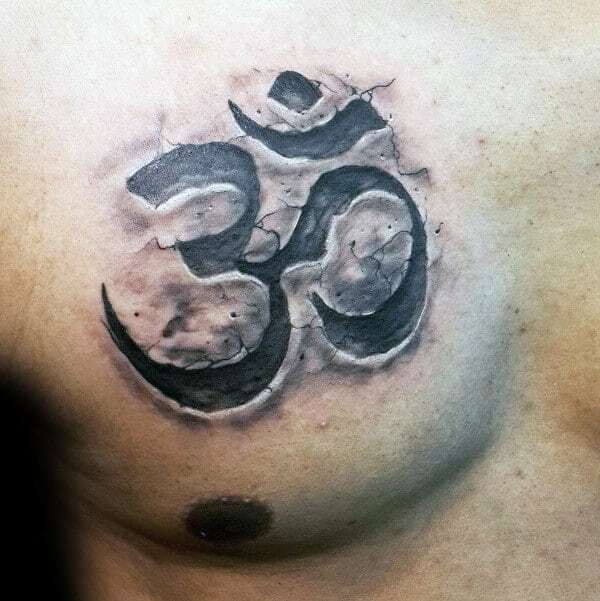 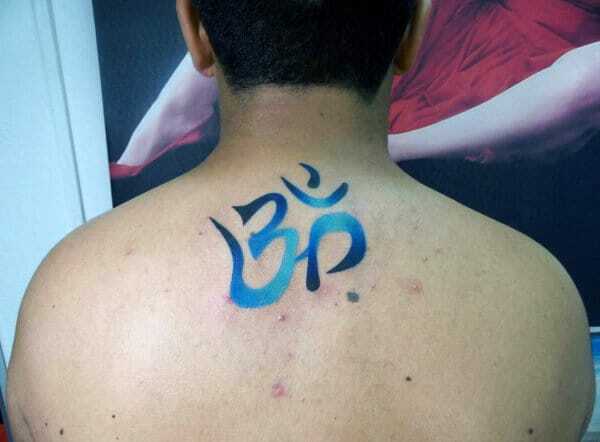 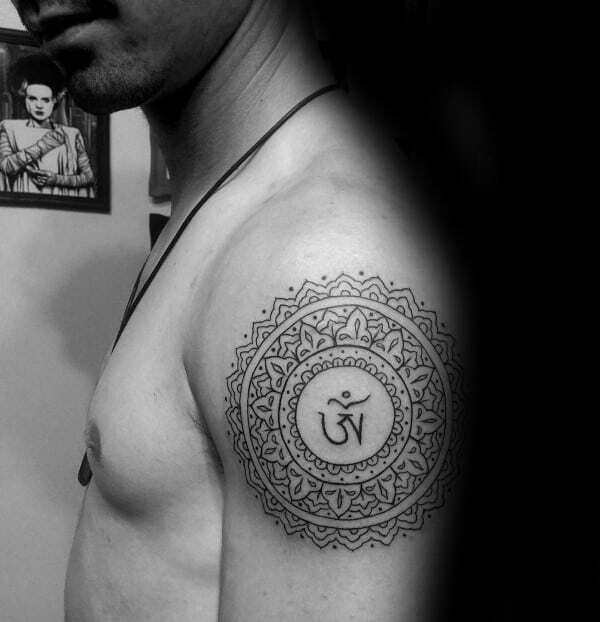 For an urbane spiritual conquest, wizened men all over the world are gaining sensitive mastery with Om tattoos. 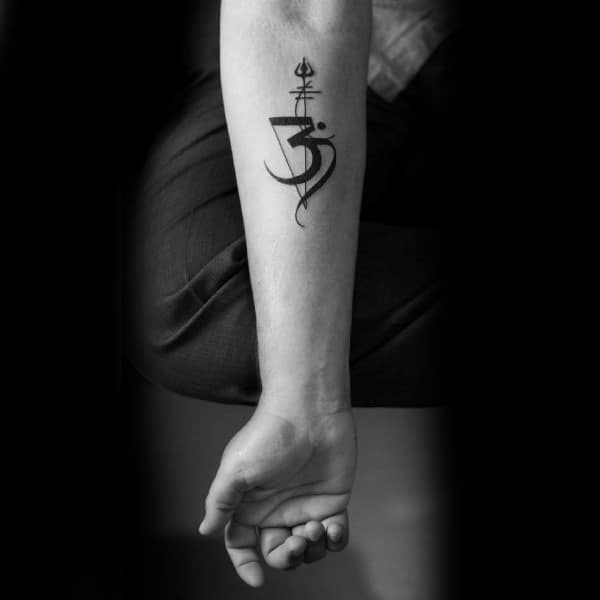 These sweet symbols directly stem from Buddhist practices, and they have a prominent place in Hinduism too. 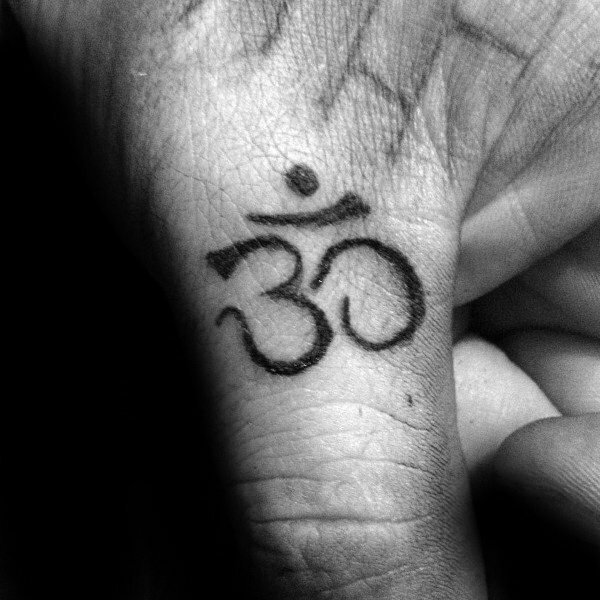 As a result, their presence may offer a distinguished gateway to personal transcendence. 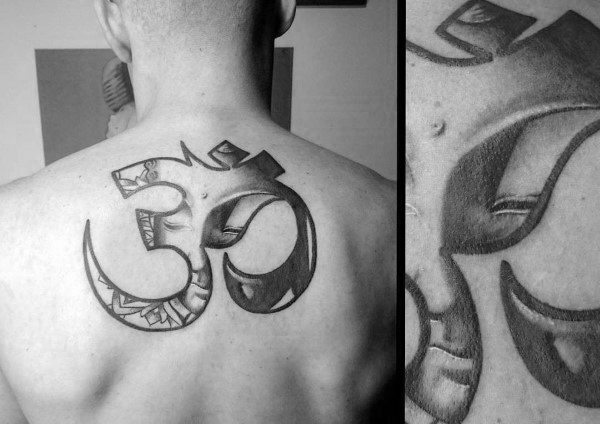 These intrepid creations are mean to slyly indicate a profound view of reality. 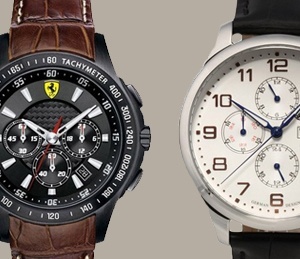 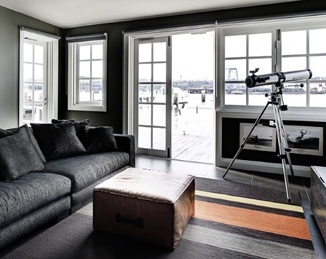 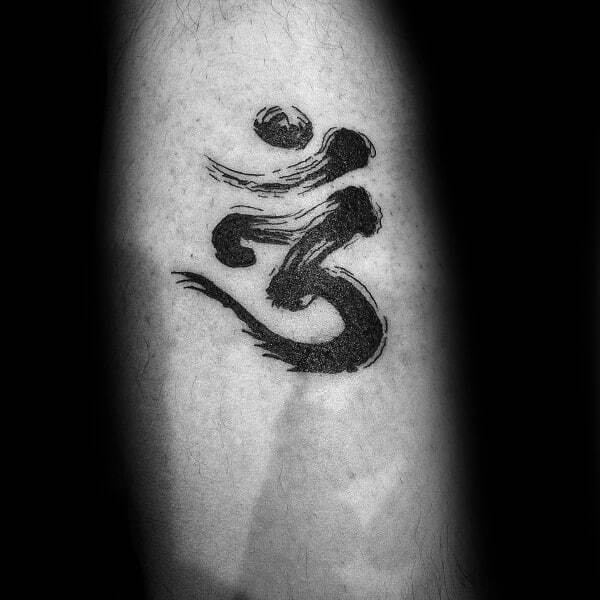 They are strictly donned by individuals who have embarked on the road towards mental clarity at all costs. 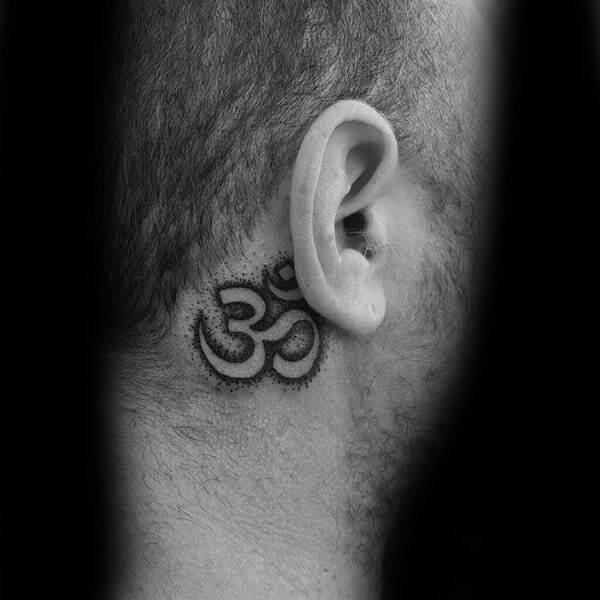 The wondrous power of an Om tattoo is out of this world, and they are prescient signifiers of ego death. 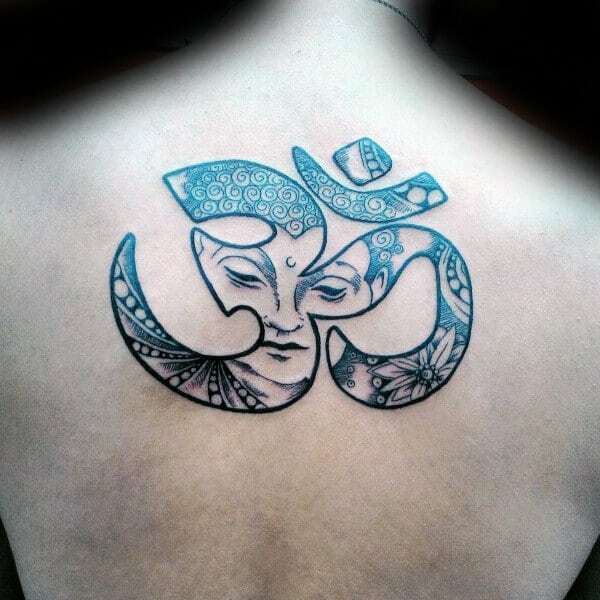 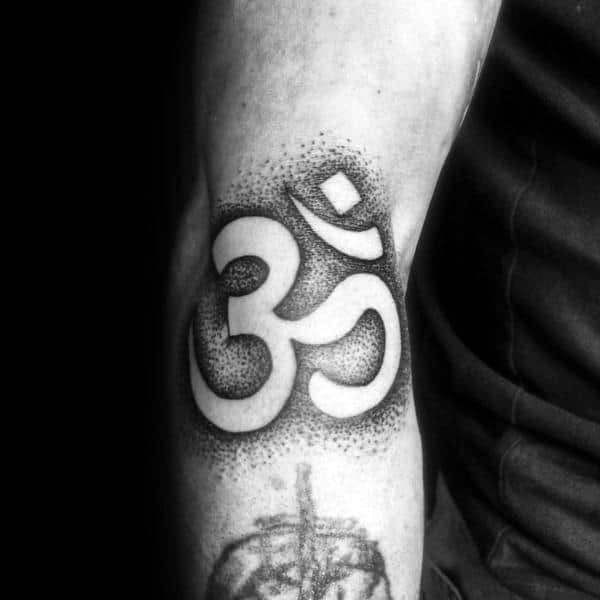 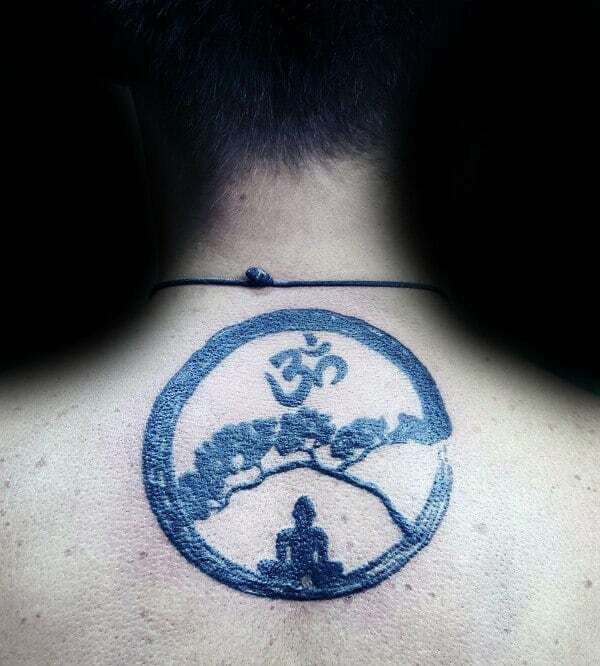 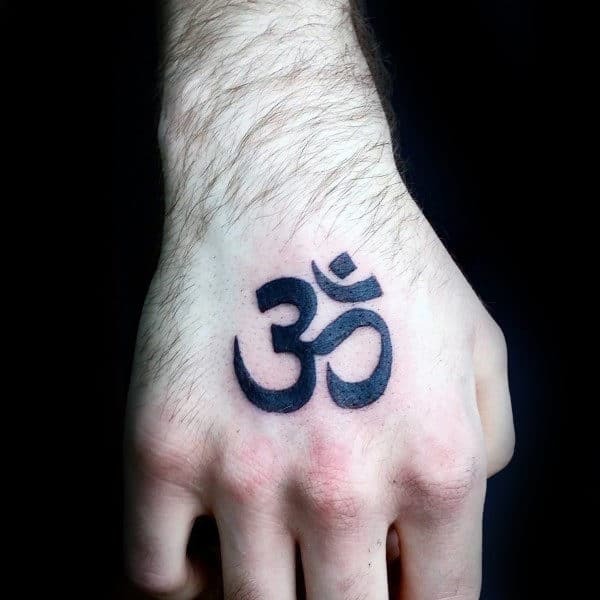 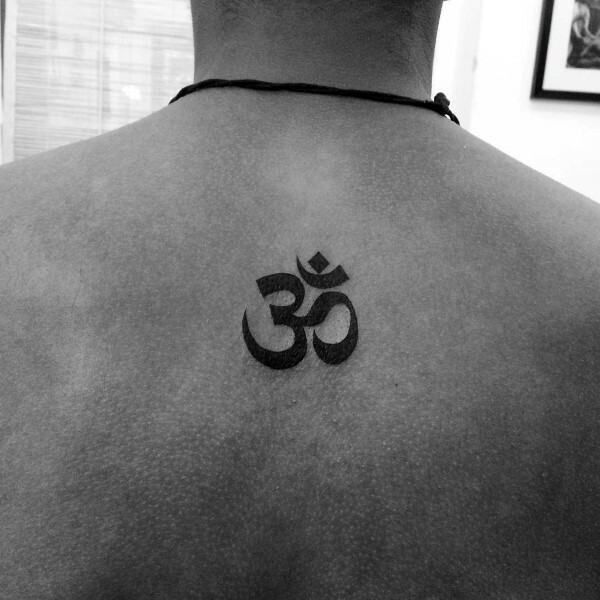 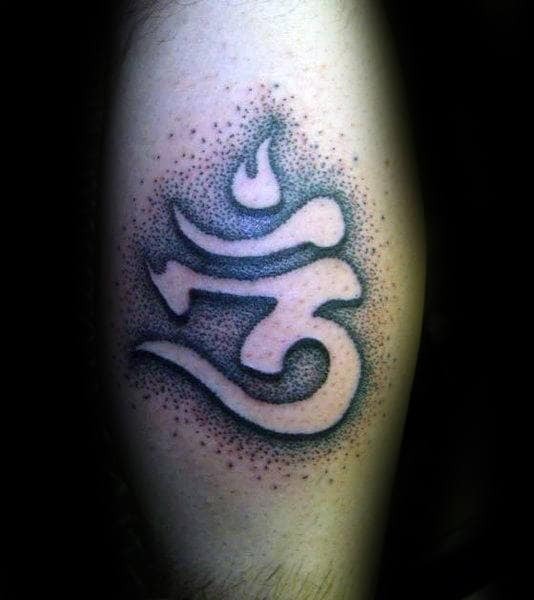 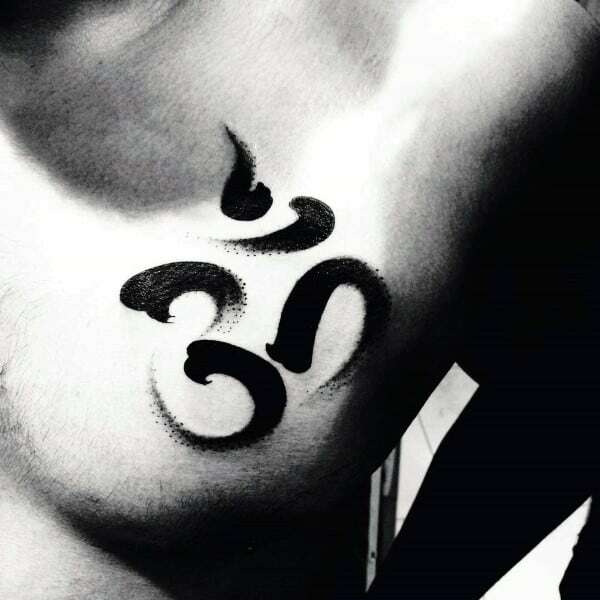 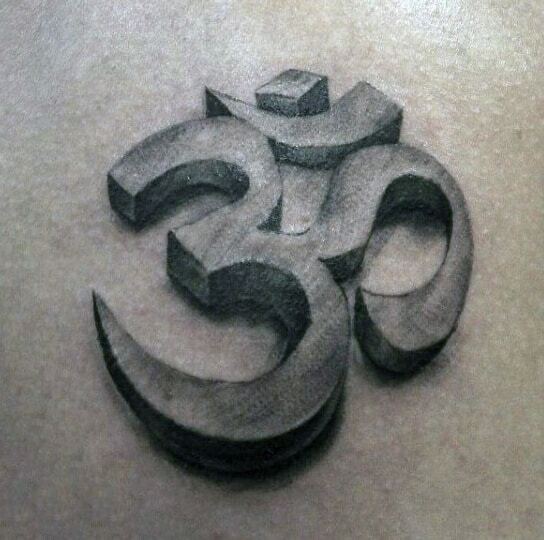 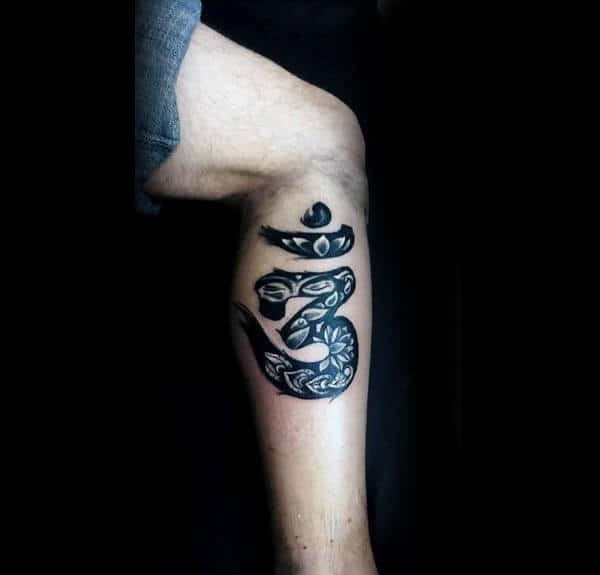 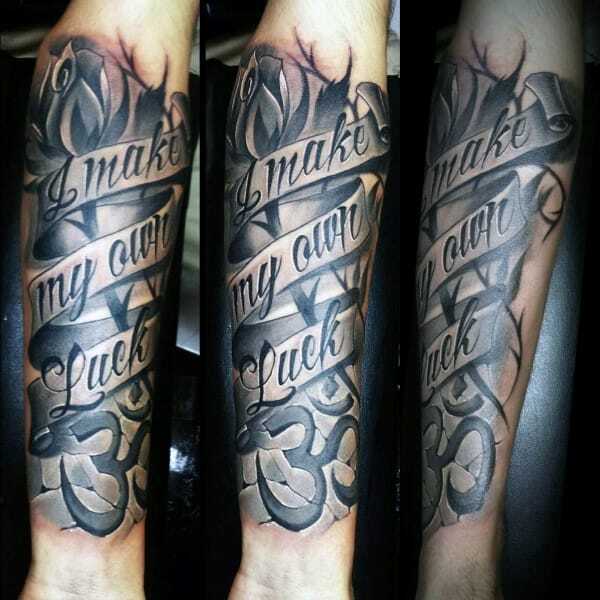 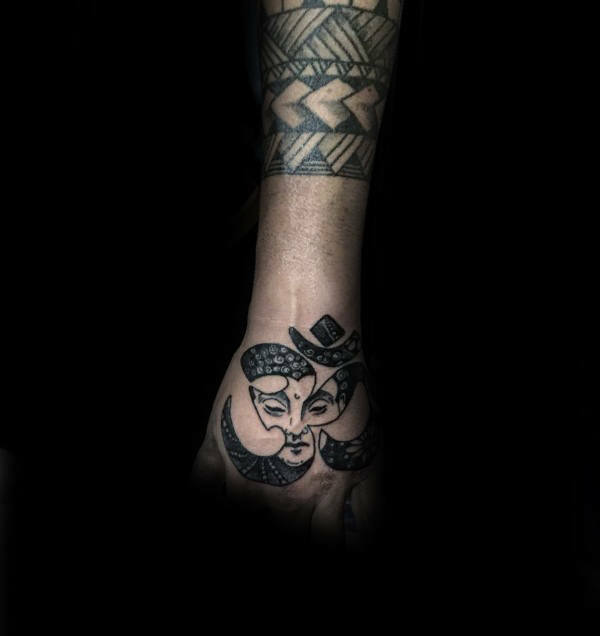 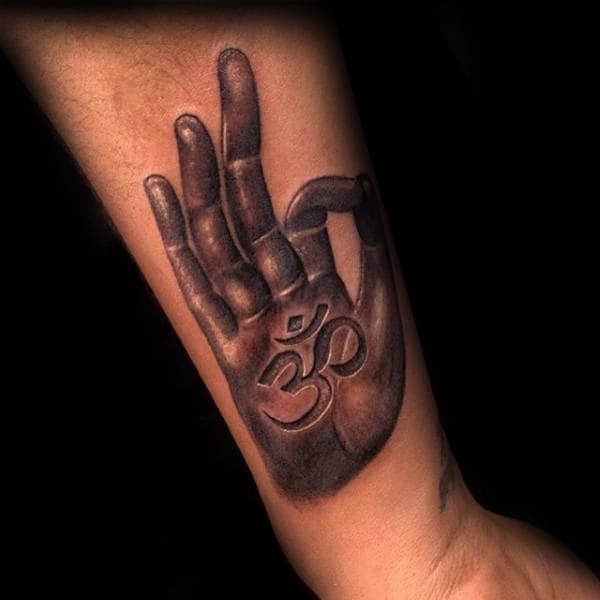 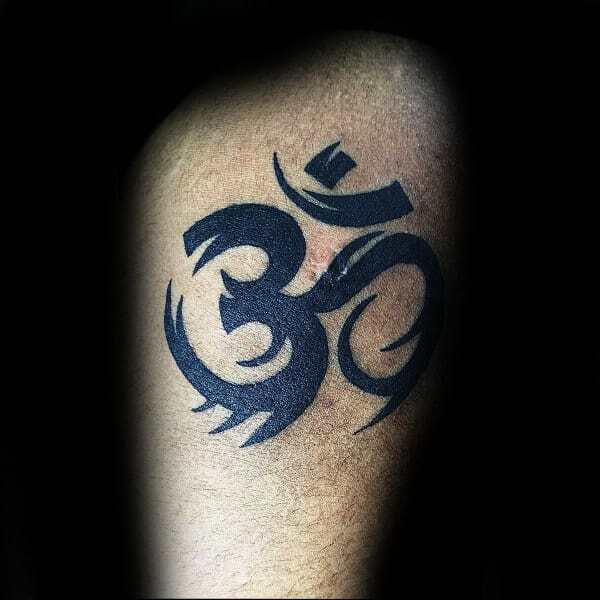 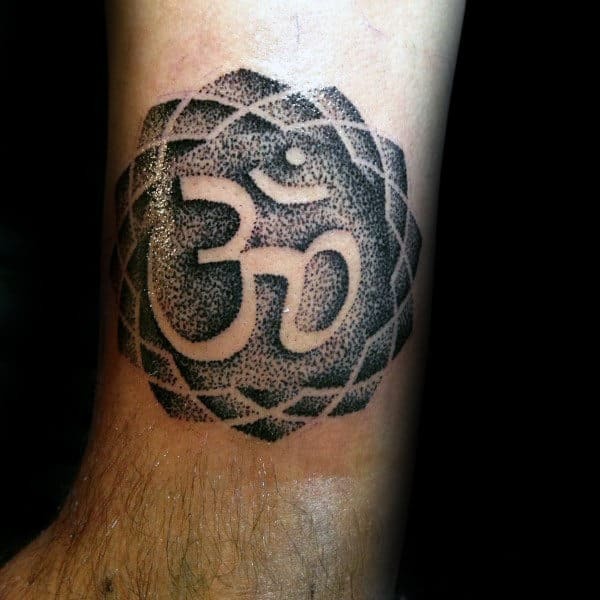 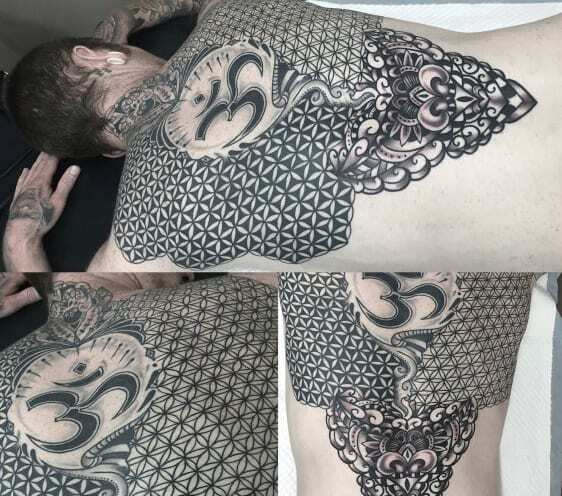 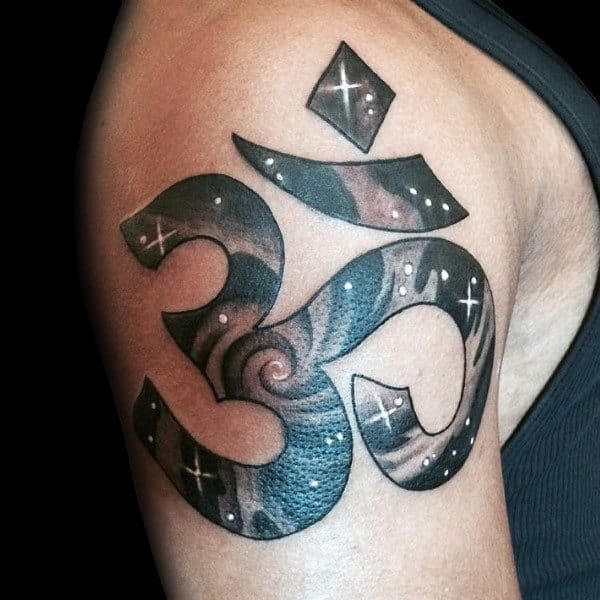 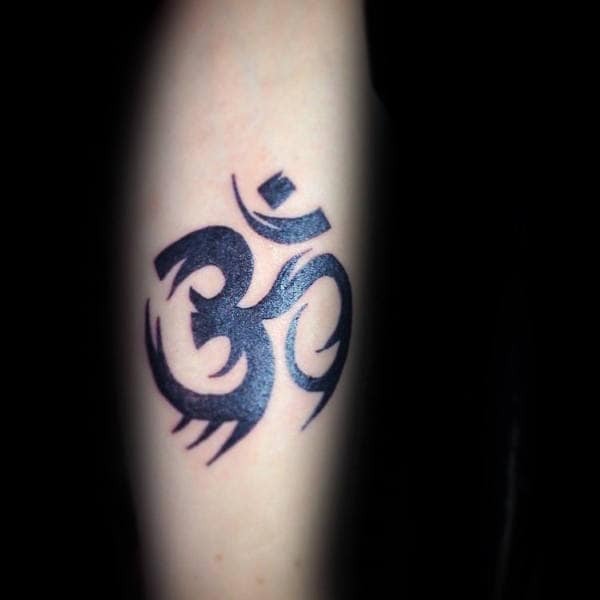 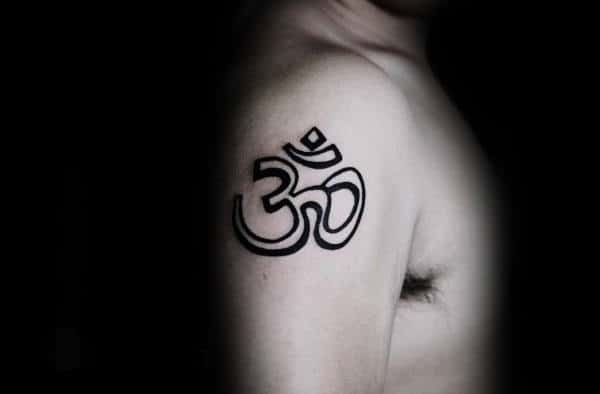 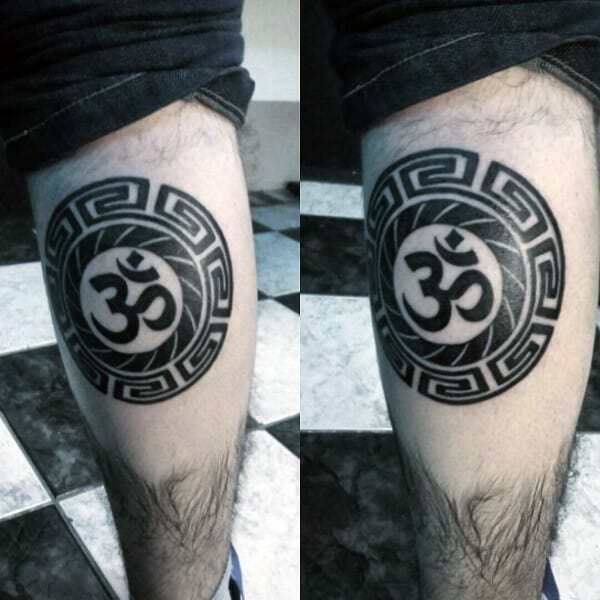 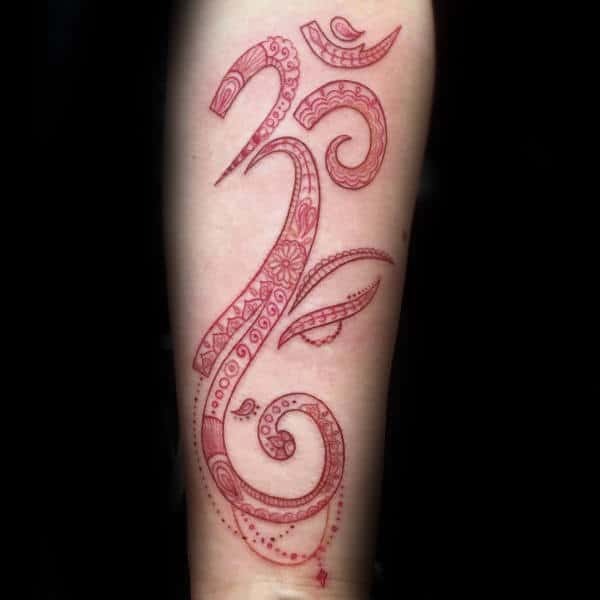 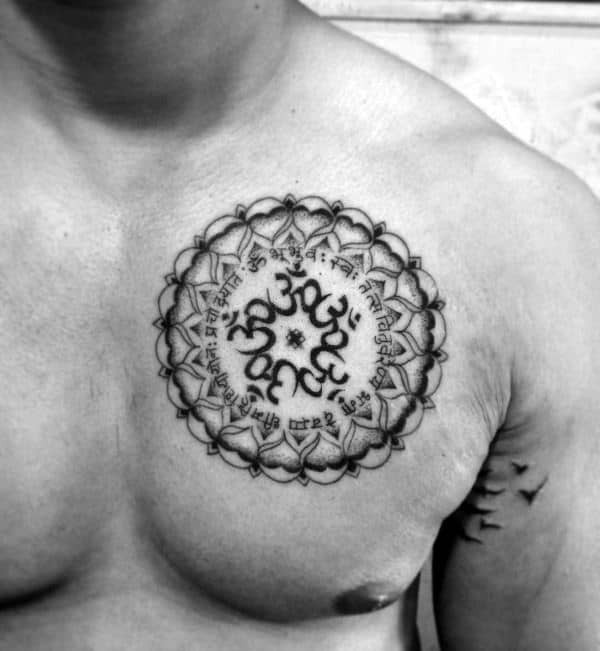 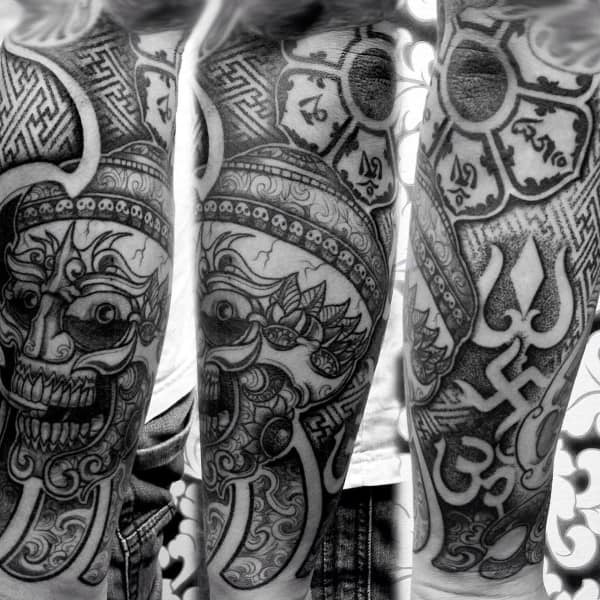 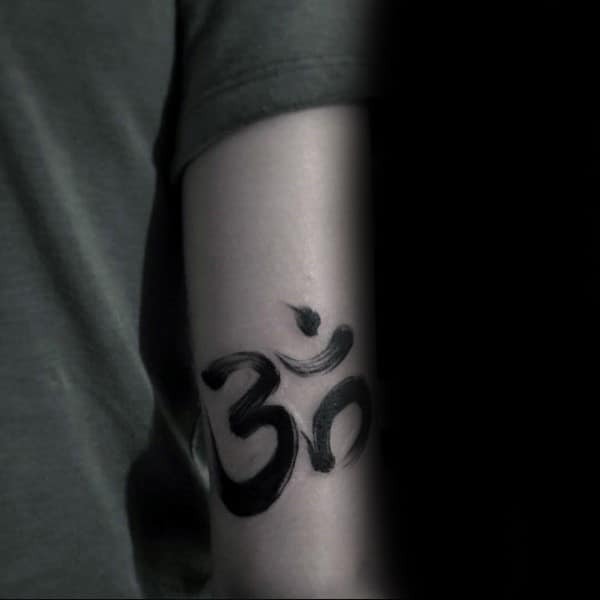 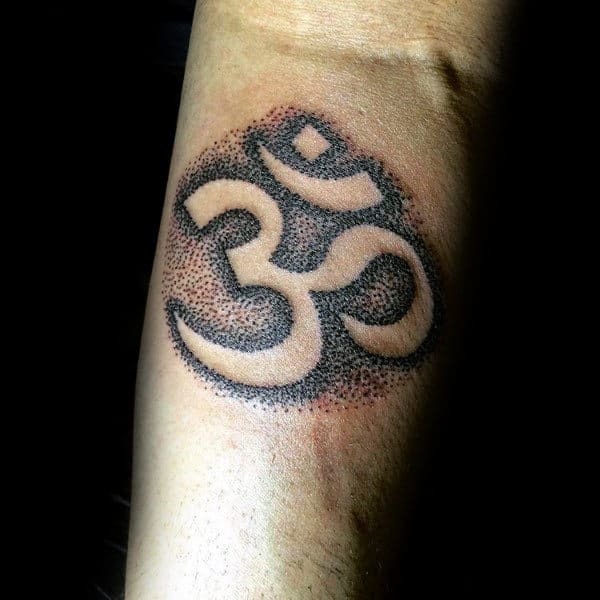 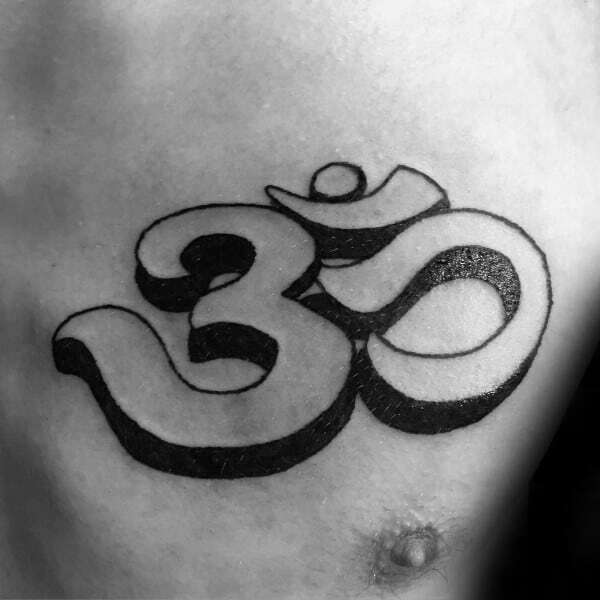 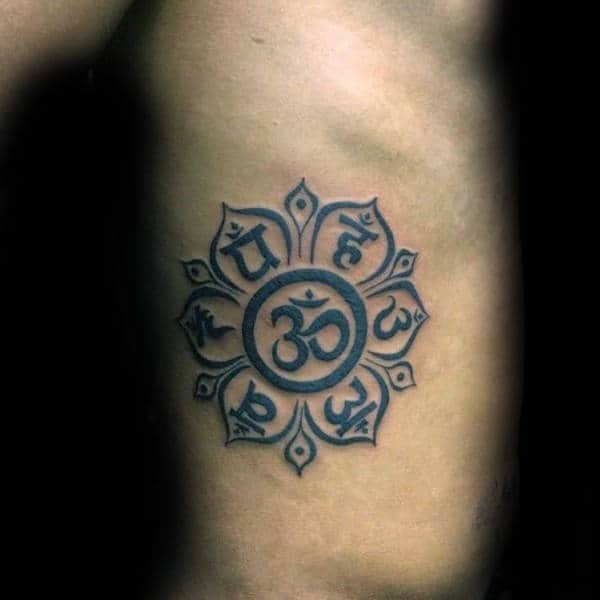 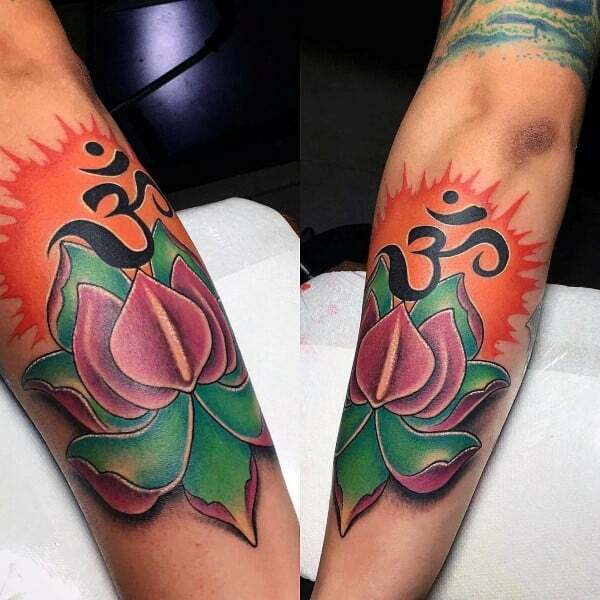 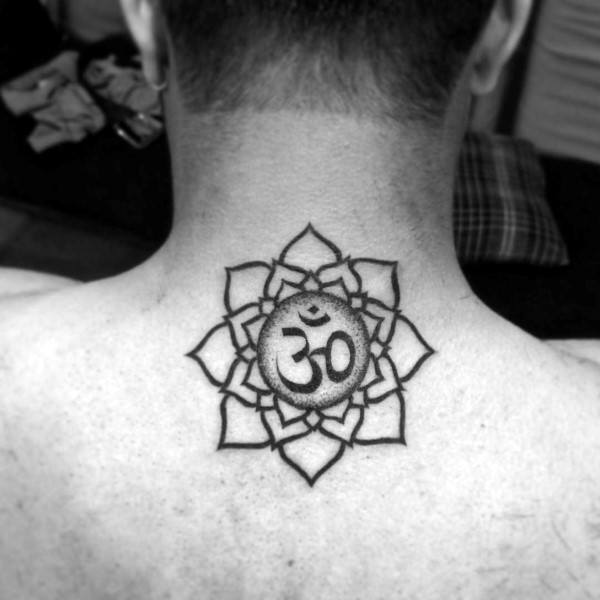 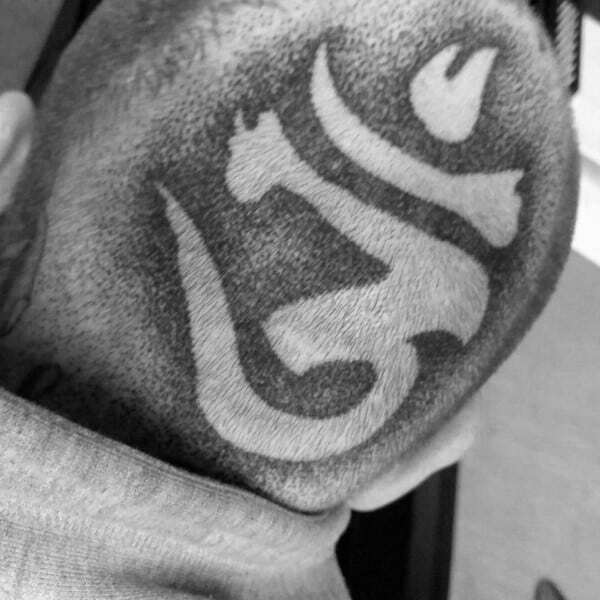 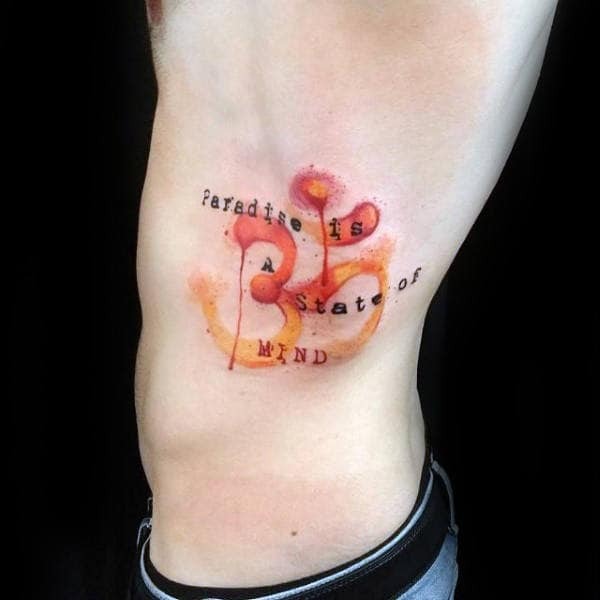 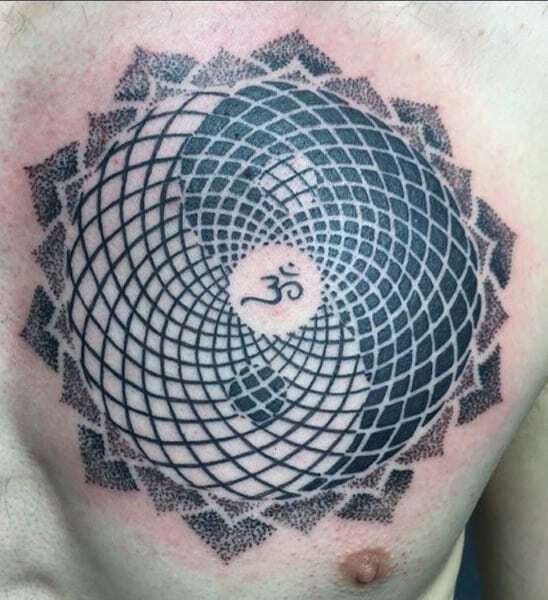 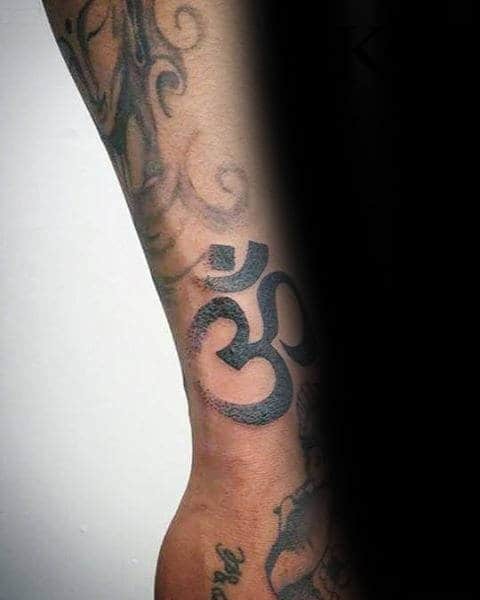 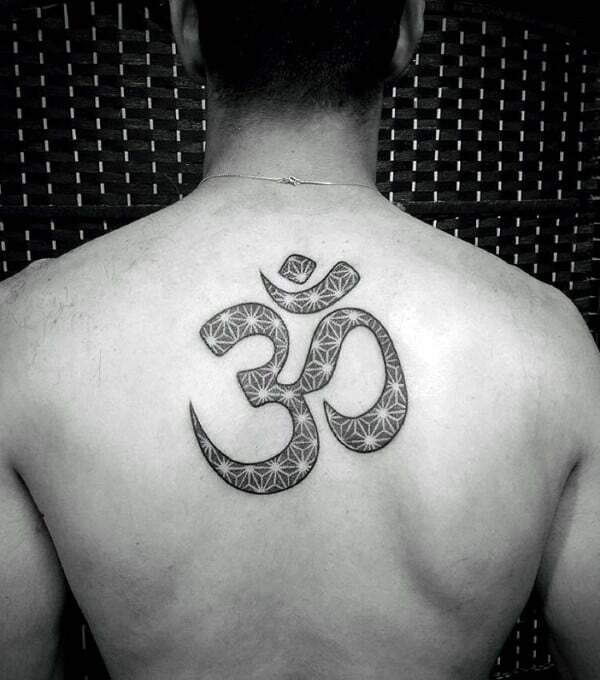 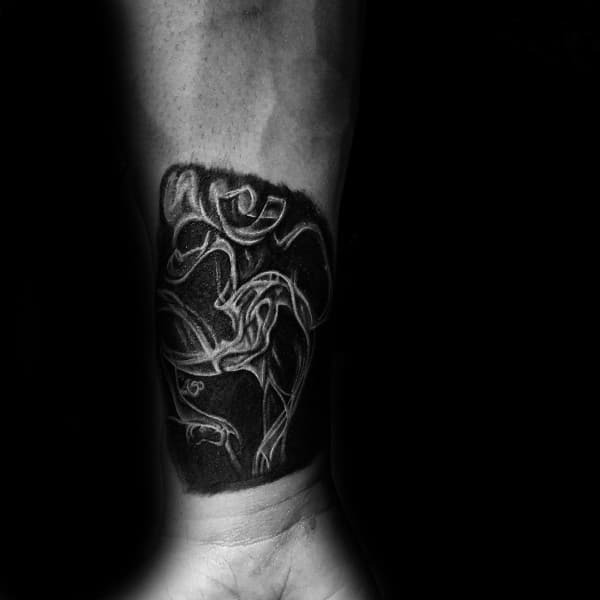 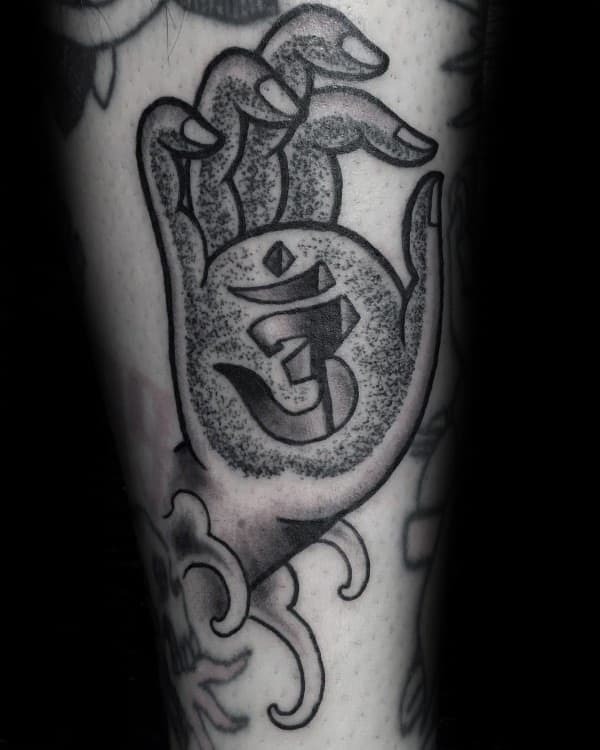 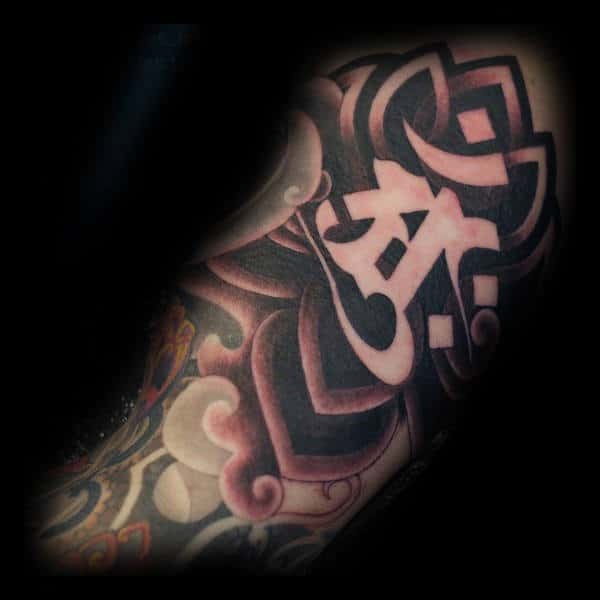 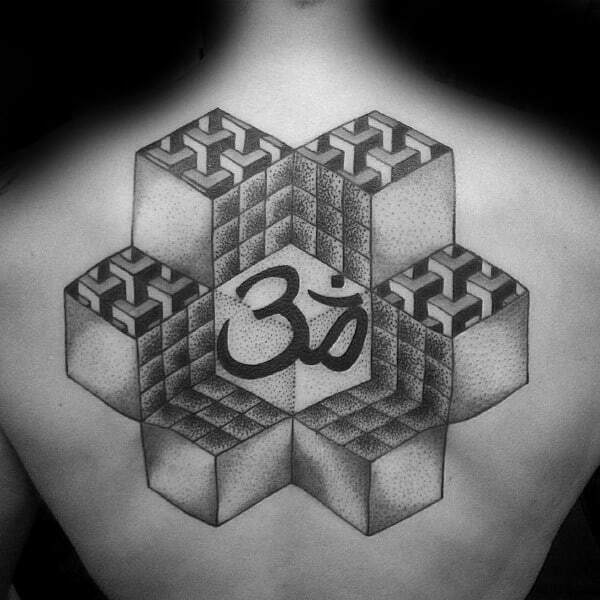 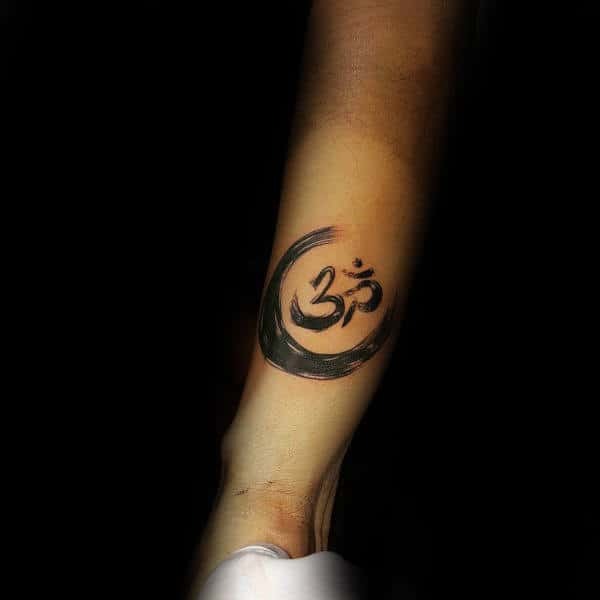 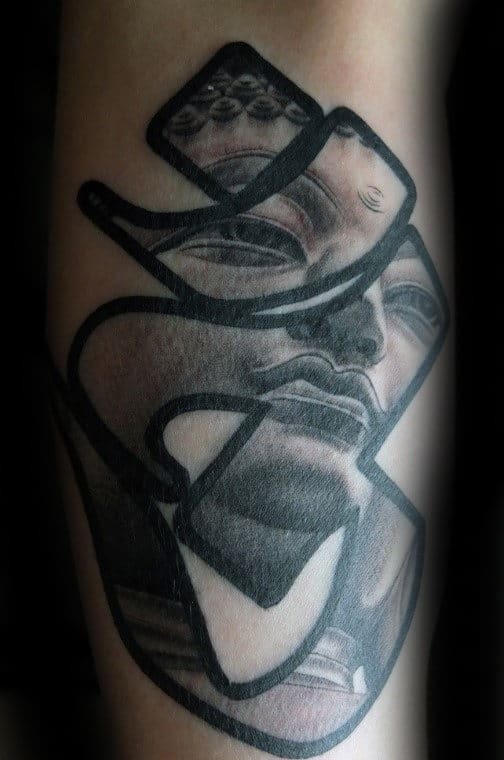 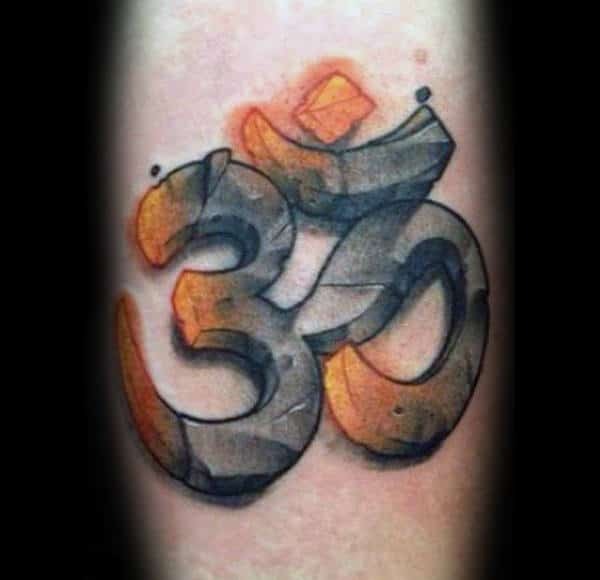 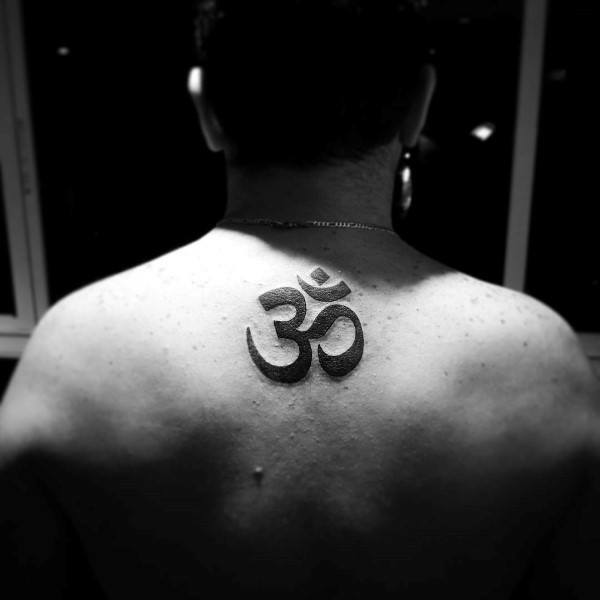 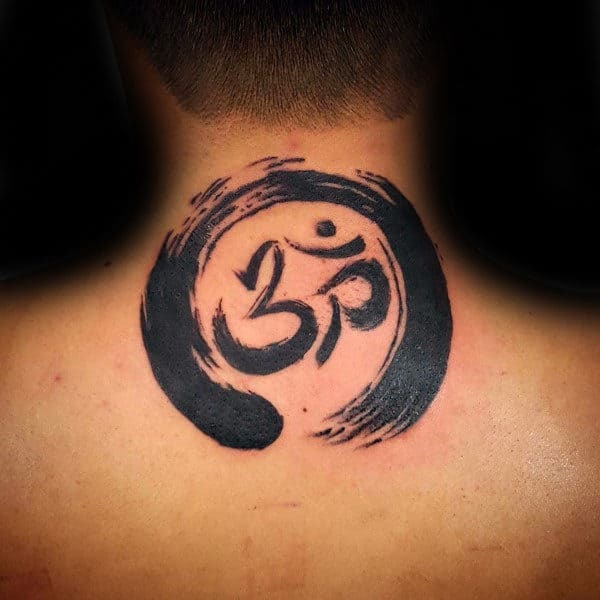 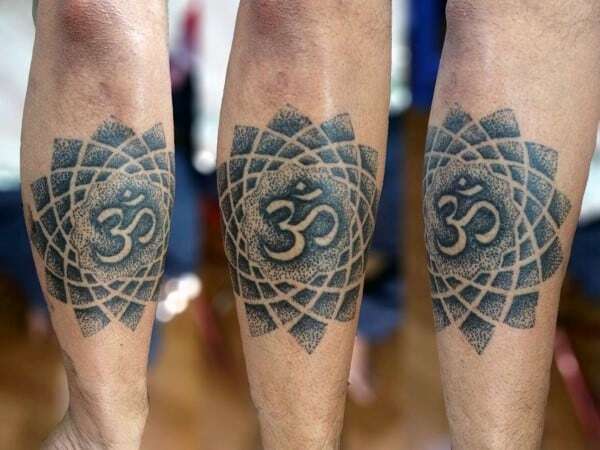 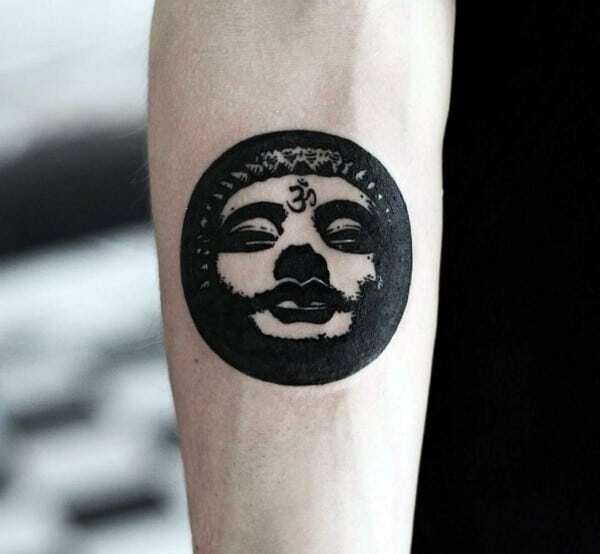 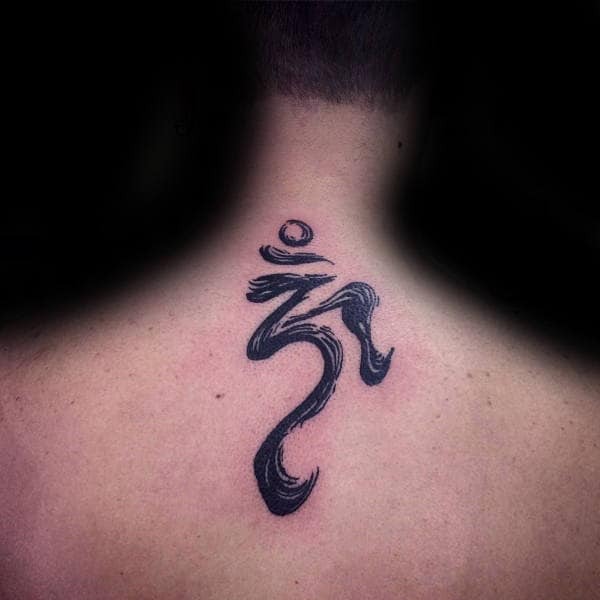 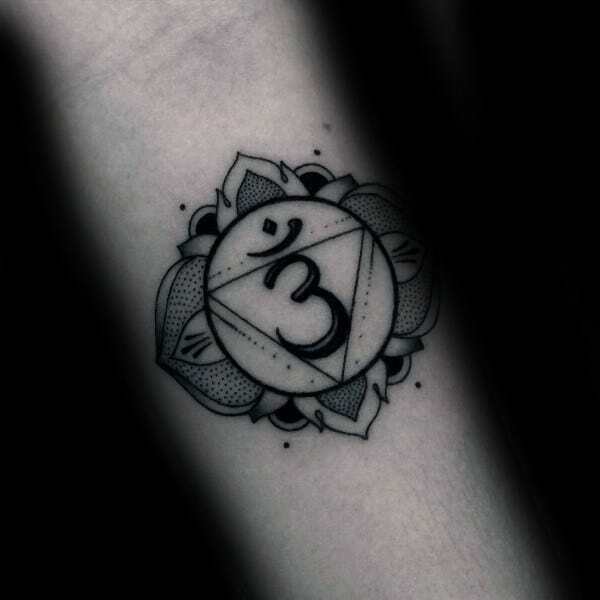 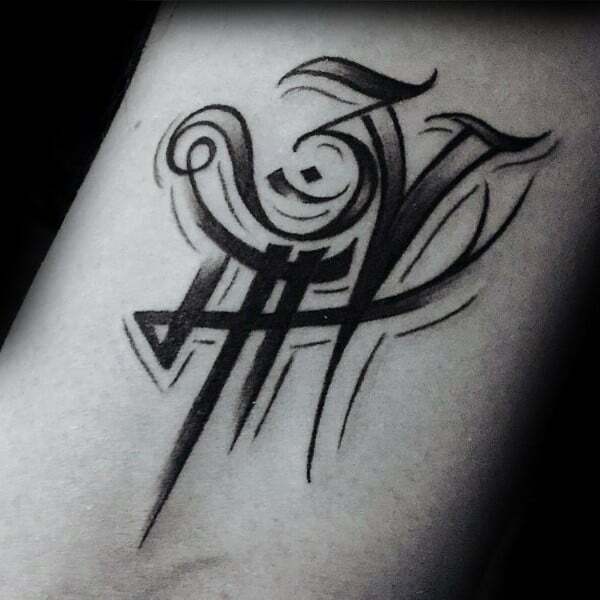 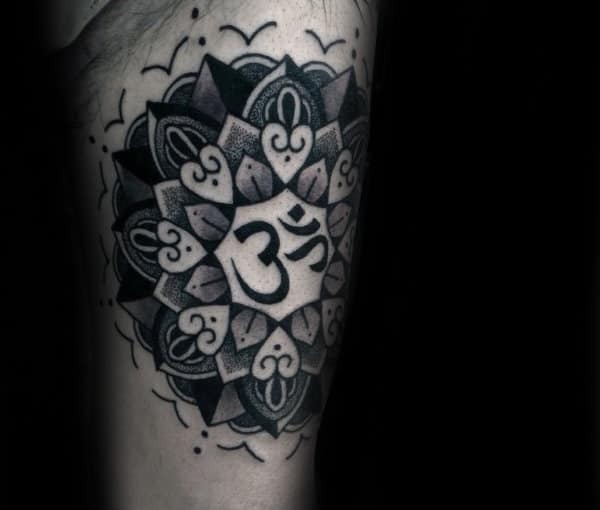 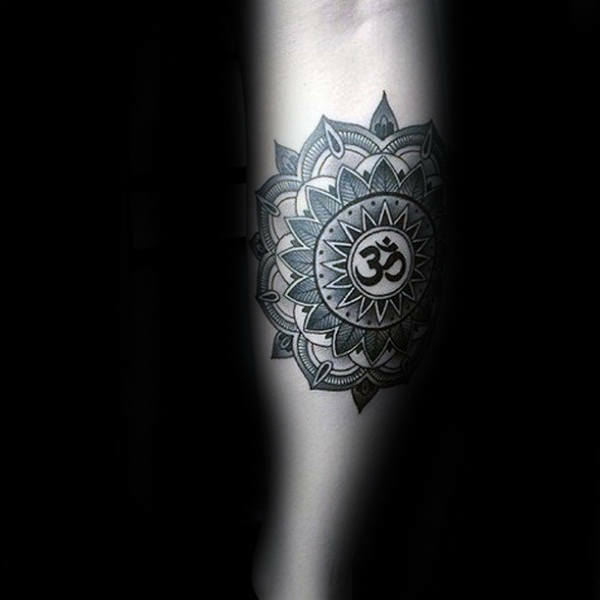 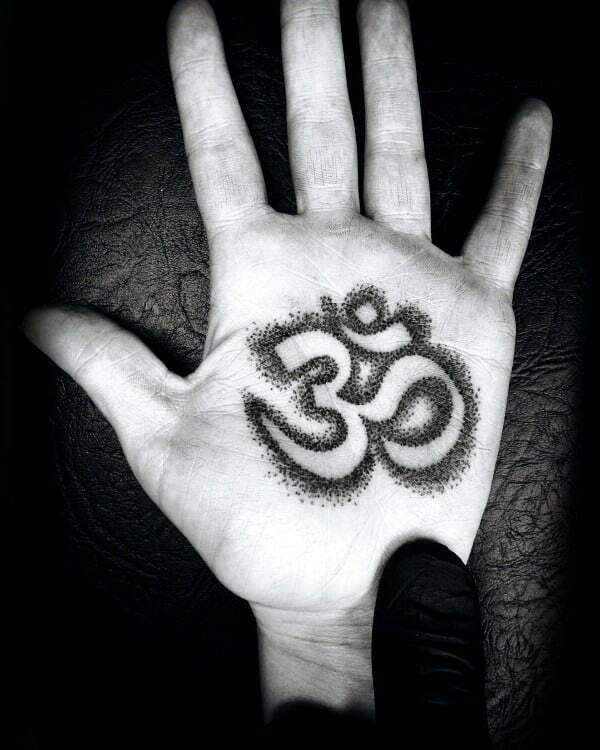 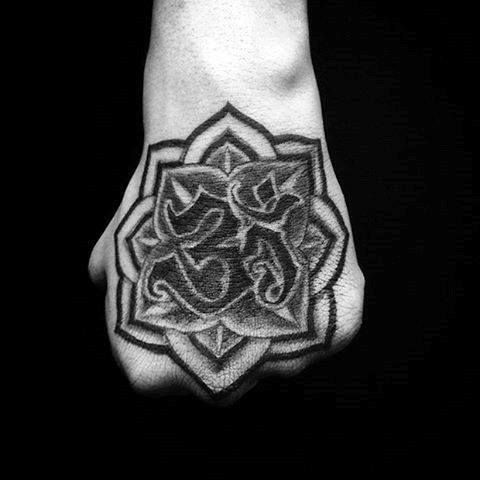 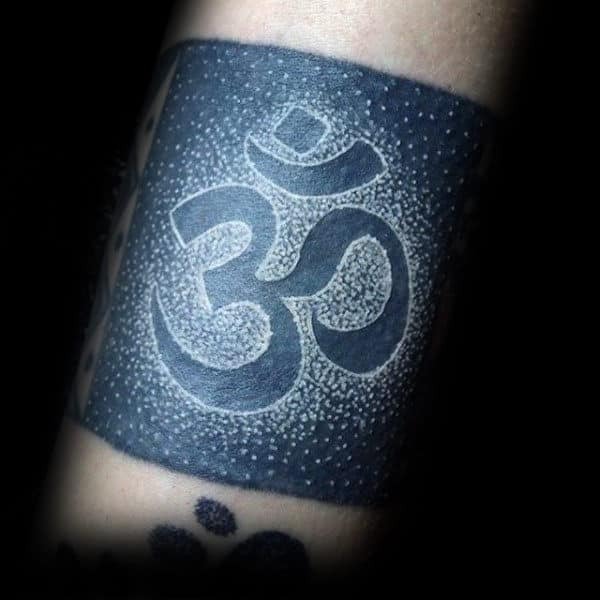 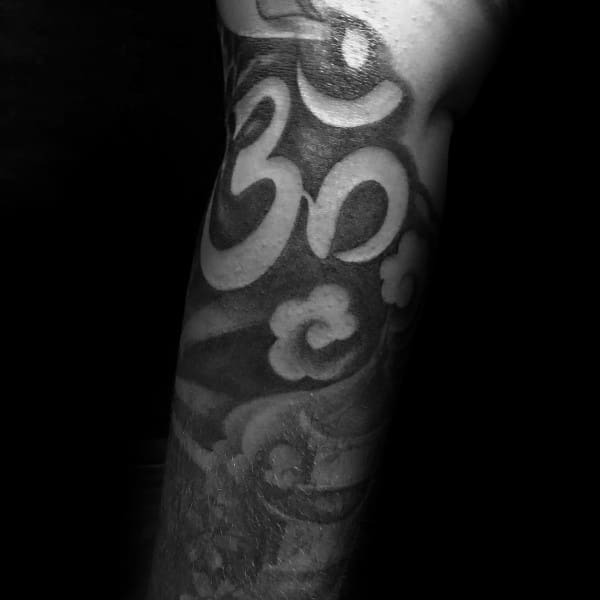 The visionary core of an Om tattoo is ideal for monks and people with similar lifestyles. 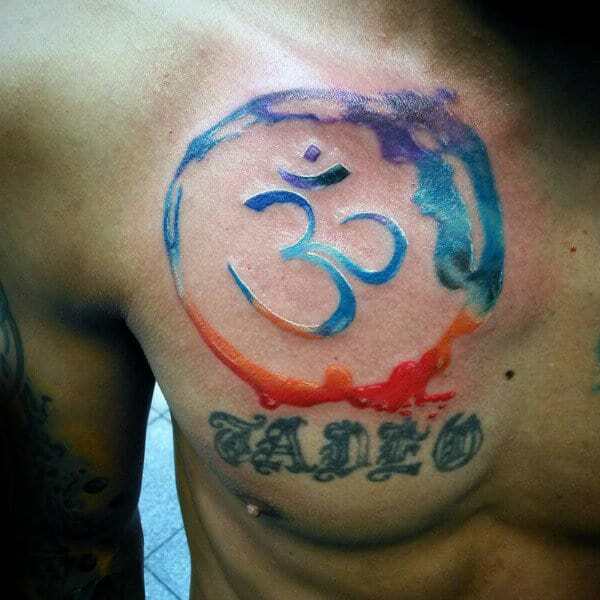 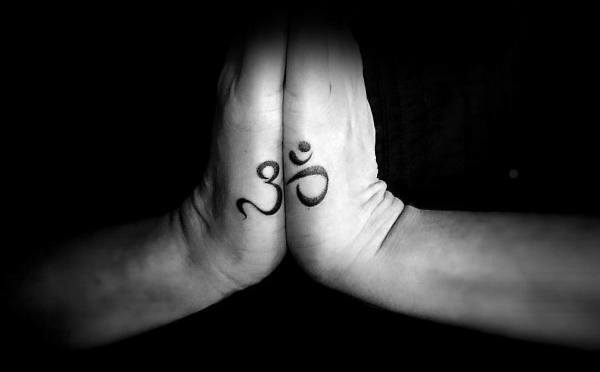 The Om symbol is derived from ancient Indian scriptures, so it is frequently meshed with Hindu deities. 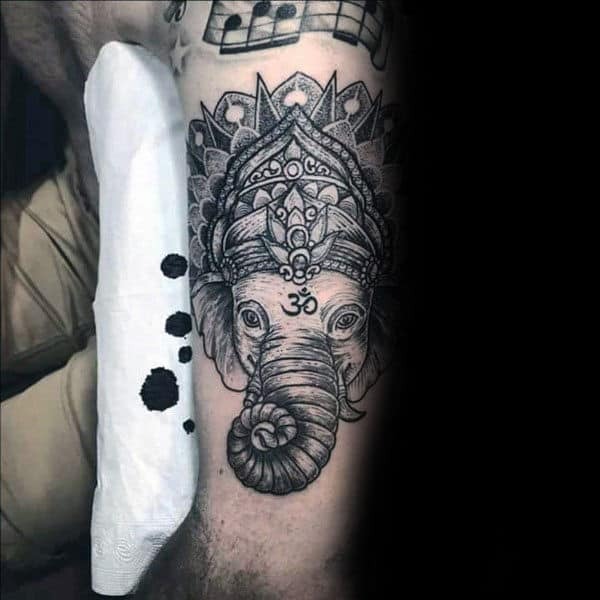 One recurring accompaniment happens to be the god called Ganesha. 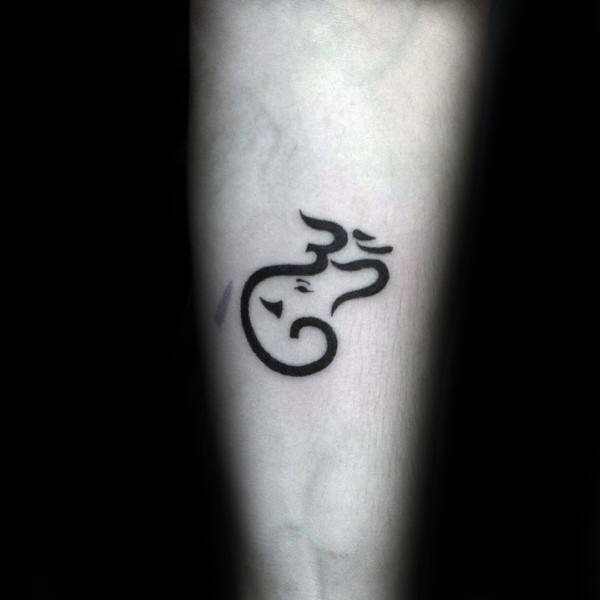 This magnificent ruler adds an extra layer of freedom, particularly since his countenance is intended to remove all obstacles in your course. 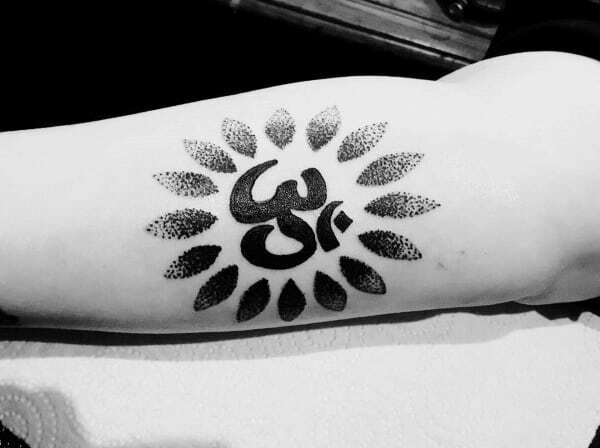 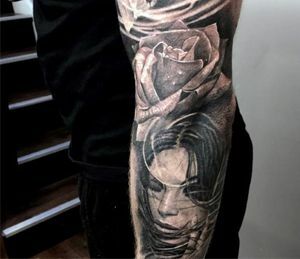 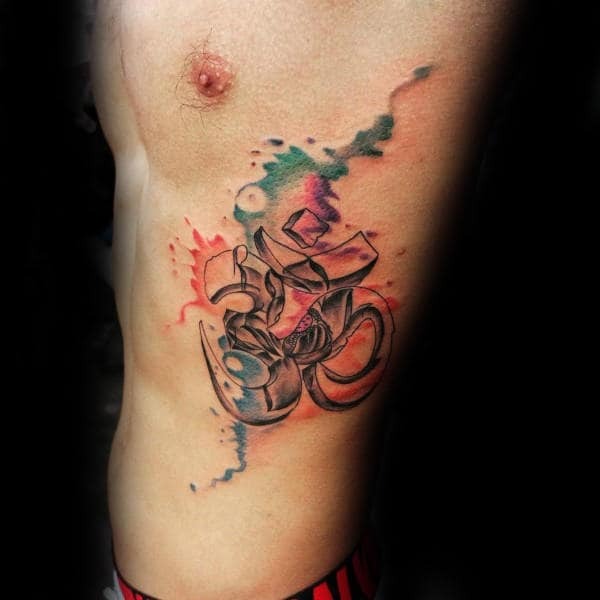 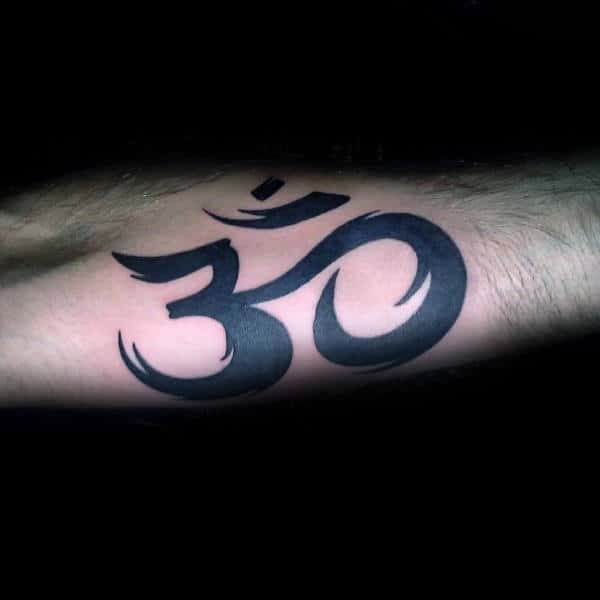 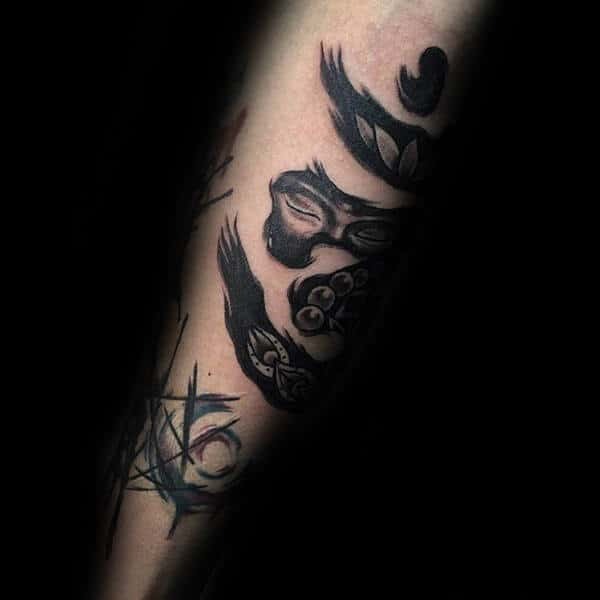 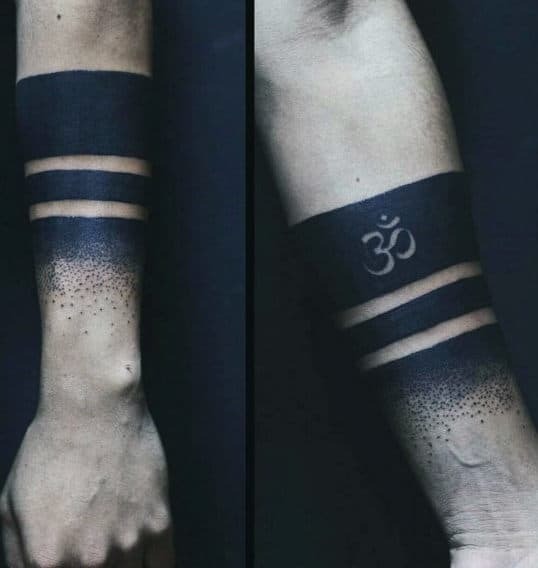 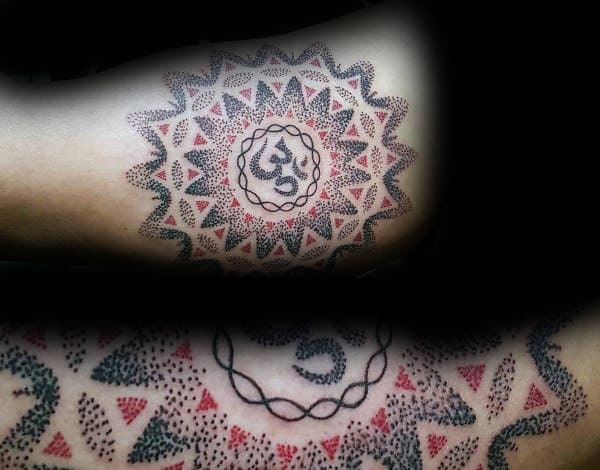 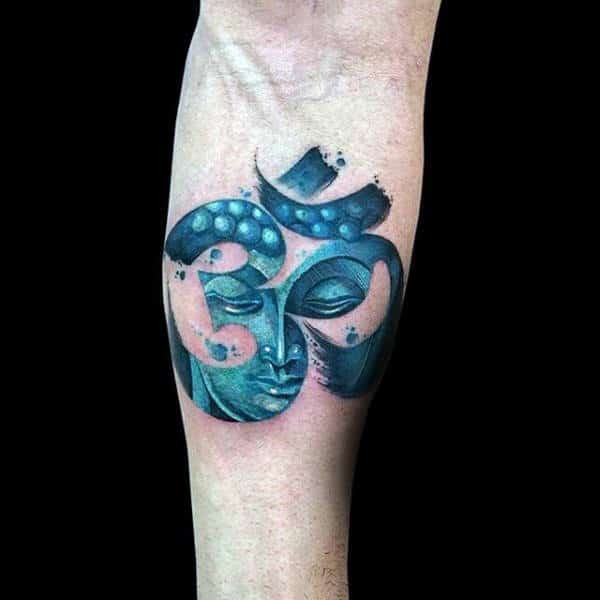 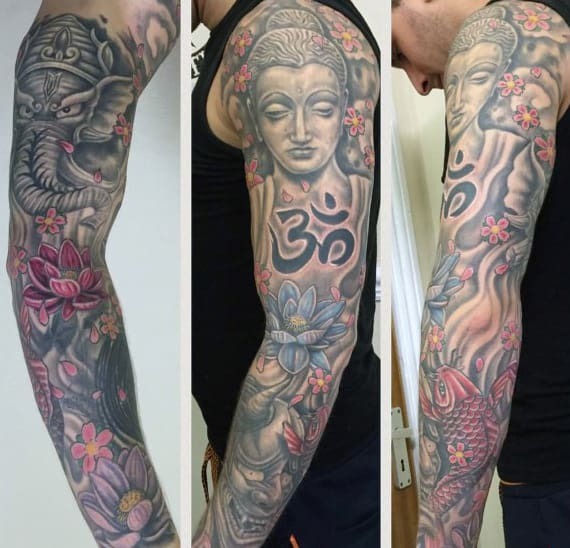 To give you a clairvoyant rush, we have accumulated a refined cluster of Om tattoos to get you started on your journey towards peace of mind via body art.